It arrived. It conquered. It dominated and brought its A-game to the “MAX”! 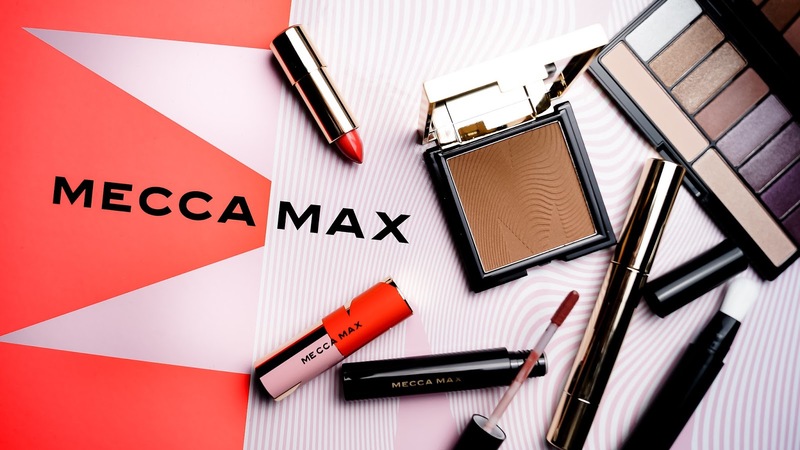 Mecca Maxima, one of Australia’s leading beauty stores, had launched their own line of makeup called Mecca Max that has blown me away! 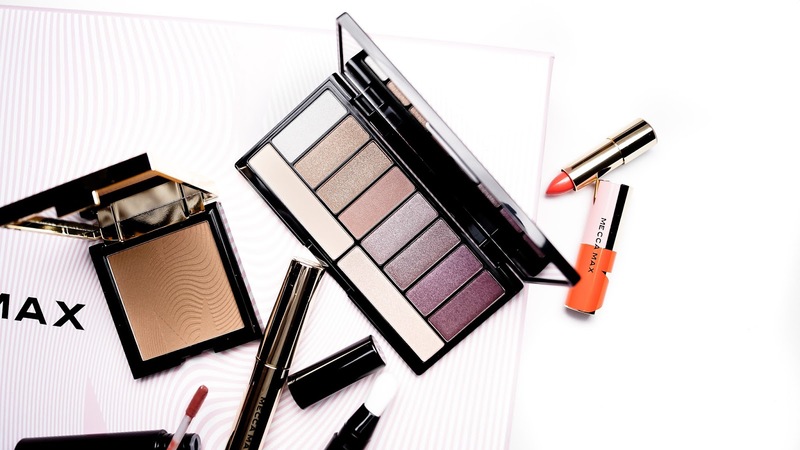 They deliver such amazing quality, the formulation on the majority of the products is top notch and there’s a vast variety of items that quickly become essential pieces to your makeup bag. In this blog, we’re going to go through some potential starter items from the line. A little bit about Meeca Maxima. They had hosted their flagship store in Melbourne for over 20 years ago and the business has rapidly over the last few years become one of the leading stores for beauty, primarily stocking up high end brand. These include Urban Decay, Philosophy, Clinique, Too faced, Hourglass and other boutique or modern brands such as Winky Lux, Frank Body, 13Brands and so on. 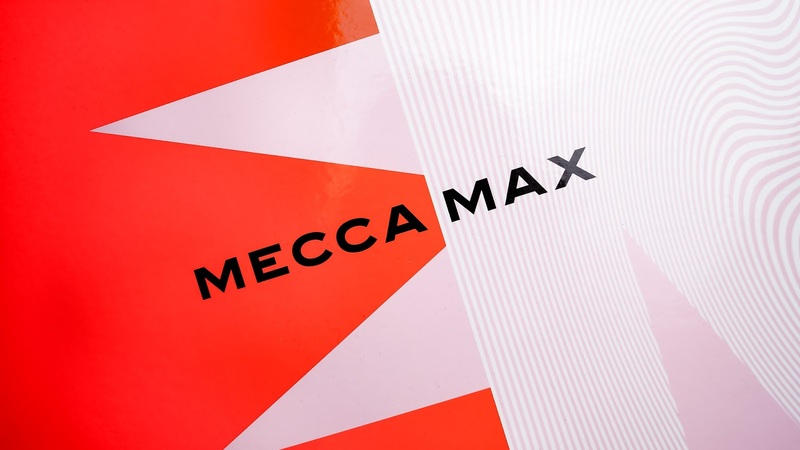 But Mecca Maxima is not only known for their sought-after brands but for their top-quality and consistent customer service. I don’t think I have ever had a bad experience in any store, nor do I remember every not being greeted! The atmosphere and aura of Mecca Maxima store is just so warm and fun and it invites you to come join in with the love and homeliness. Just before the launch of the brand, they had generously gifted all their influencers and media this media package just so we can get acquainted with the New sister brand. It came in a huge colourful bright orange box that jumps straight out at you making you want to rip the lid open. Now what’s the most amazing idea behind the brand is that they created it for the everyday person! So, each item that you see in their range is well under $50 AUD! This includes their foundations, palettes, brush tools… EVERYTHING IS UNDER $50! 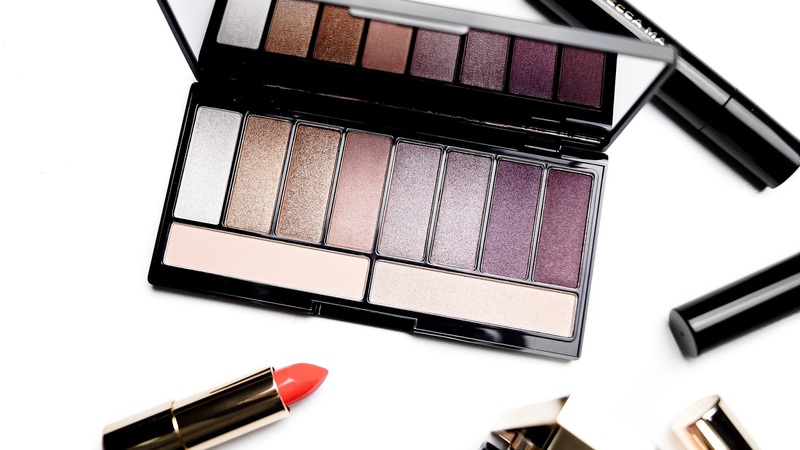 This makes being a beauty junkie so much easier and doesn’t place a toll on your wallet. And here’s another great thing as well… IT IS AN INTERNATIONAL BRAND! This means it is available to be sent to most countries in the world! How flipping remarkable! We’re going to go through each of the items presented in the photo above. This is the most expensive single item in the range. I don’t particularly like palettes that is predominantly leans all shimmers or all metallics, but it’s still a great formulated palette. 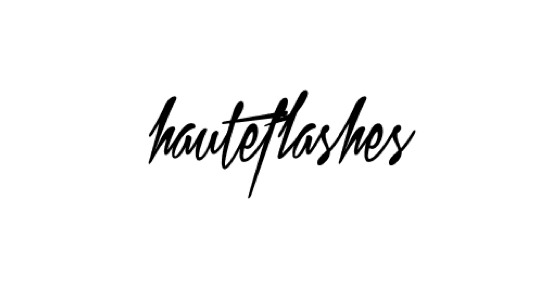 Since it is their first eyeshadow palette that they have launched, they created a palette that caters to all skin tones and has a variety of cool and warm tones. The pans are divided into eight base colours and two bigger pans that lay at the bottom. 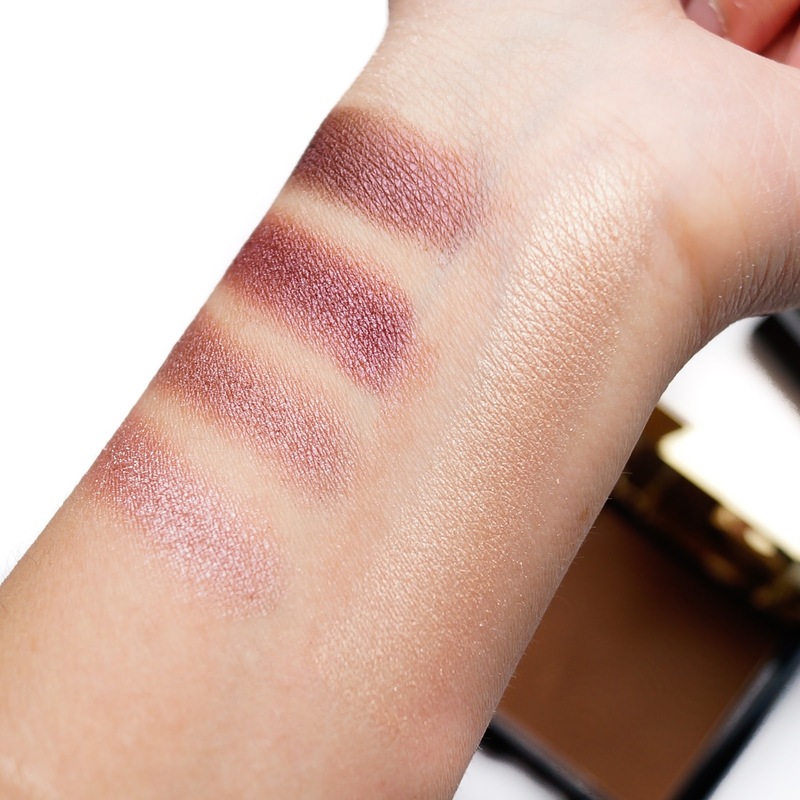 On the warm side of the palette, you see you have your signature warm tone brown shimmer shades. And on the cool side of the palette, you see you have the same concept of having classic cool tone purple shades. Despite being a palette that you would have to pair with another palette that contain neutral or matte shades, the colours contained in this palette are beautiful. There’s not much versatility in terms of range of shades being only purples and oranges/bronze/golds. Nevertheless, the shades blend perfectly and the shimmer really does shine through with your fingers or a dense shader brush. They are smooth with a little fallout. Though while playing around with the two bottom pans, I found them to be quite underwhelming and different in formulation (and this is with and without a primer). They don’t show up on my light-medium skintone and didn’t do much for me other than provide a slight sheen on the brow bone. In my honest opinion, the bigger mascara end is nothing special and you can easily find a dupe that does the exact thing for a better price. But this is not to say it is horrible. It does do what it claims and does also provide a perfect application being a formula that slightly leans more wet than dry, which is something I can definitely appreciate. It’s very easy to glide the mascara through each lash and there’s friction at all. But what’s the most amazing part about this mascara is the smaller mascara end. Now this is not a new type of mascara wand that we haven’t seen before. Nyx, It Cosmetics, Kevyn Aucoin and so on, have all created a similar wand and Mecca Max wanted to get in on the action and produced their own. Out of all the ones I’ve tried, Mecca Max’s version has been one of my favourites, alongside the IT Cosmetics Tightline Mascara. 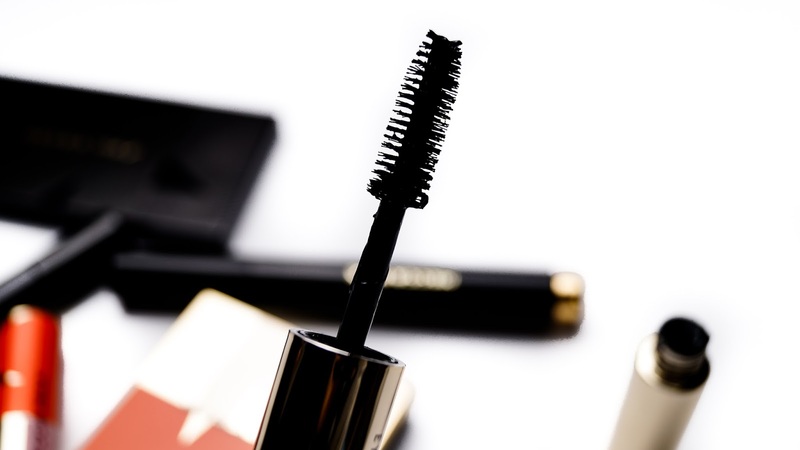 It’s the perfect mascara to use on the bottom lashline, to tightline the roots of your lashes or (my favourite application) to help apply to the tips of your lashes to add length without clumping or adding extra volume or thickness. 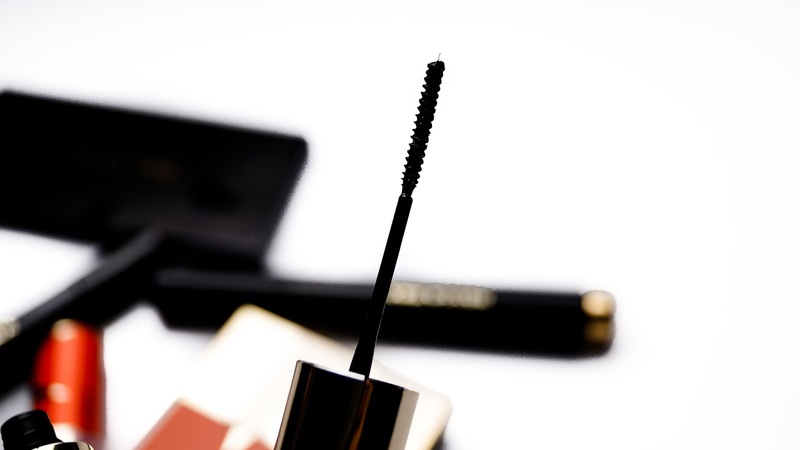 This mascara is extremely easy to use and glides on your lashes like a dream. It does not flake or clump and just work so well to add an extra amount of volume and length. Out of all the items that you should check out from Mecca Max, this is the item you don’t want to miss out on! The best way I can describe this bronzer is it’s NARS Laguna Bronzer’s better sister. 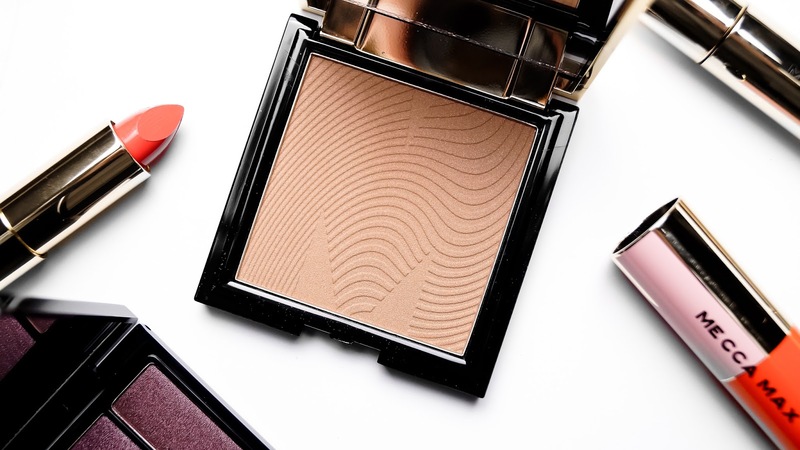 I immensely enjoy the NARS Laguna Bronzer but the Sunlit Skin Bronzing Powder takes the throne. It’s does everything the Laguna can do but with a smoother texture, without the hardening surface. I have been using this for about 2-3 months now and I have not noticed any hardening whatsoever. The powder formula has maintained to be consistent and has been the same compared to the first time I had used it. You can use this directly over foundation but for the most flawless application, it is best over a face powder. It’s a phenomenal product and deserves so much attention! There are three available shades that you can choose from, which is not a lot so I am hoping in the future they develop more. 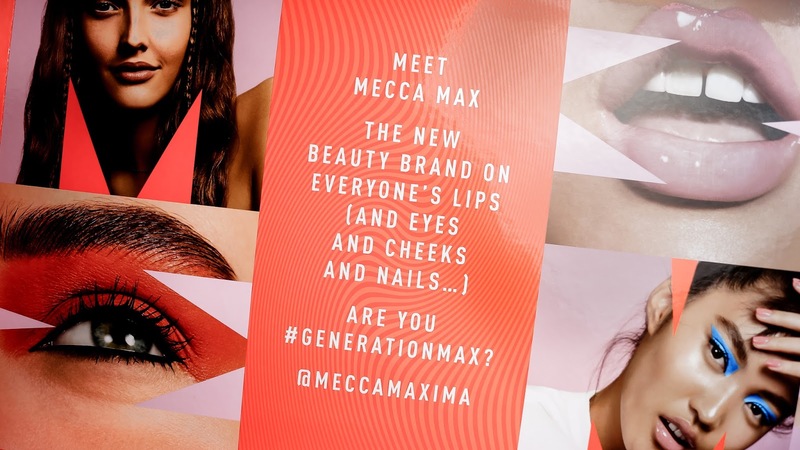 Another impressive item on the makeup menu – the Pout Pop Lipstick from Mecca Max! 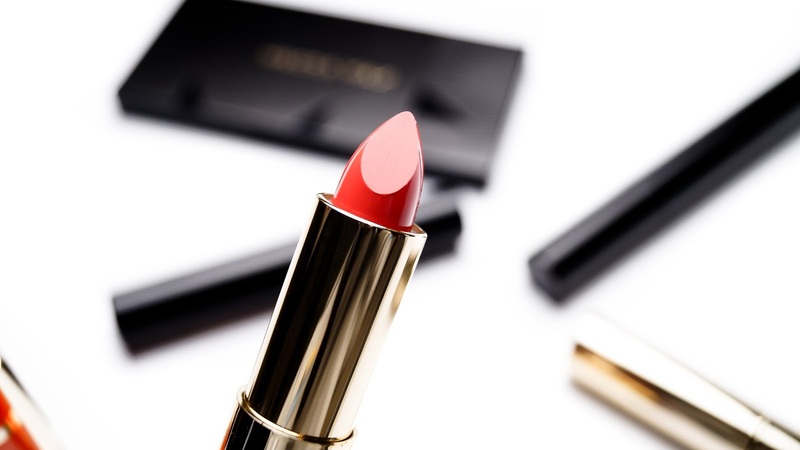 It’s an affordable, creamy and pigmented lipstick that acts and behaves like a high end lipstick but without the boujee price tag. Looking from the tube, it doesn’t look much and the colour scheme for the lipstick does slightly make the lipstick look tacky but don’t let its look fool you. These lipsticks offer a hydrating blast of colour that have long-wear pigment in three different finishes – sheer, matte and high definition opaqueness. I have the shade “Va Va Voom” which is a Mega Matte. Surprisingly it is comfortable to wear and with one swipe, it provides full coverage. But it does accentuate dryness a little and I recommend exfoliating before application. I cannot speak for the other formulas but I had fun swatching them in stores and they felt amazing. There are an incredible collection of 29 shades which gives you zero room for excuses to try out the lipstick! Yet again, here’s another product that packs a punch when it comes to colour and pigment – the A-Lipster Liquid Lipstick! This lipstick claims to be a liquid matte lipstick that is budge-proof with zero tolerance for flaking. It provides full coverage application with a mega hit of pigment and is described as velvety soft. And I can definitely second these claims. 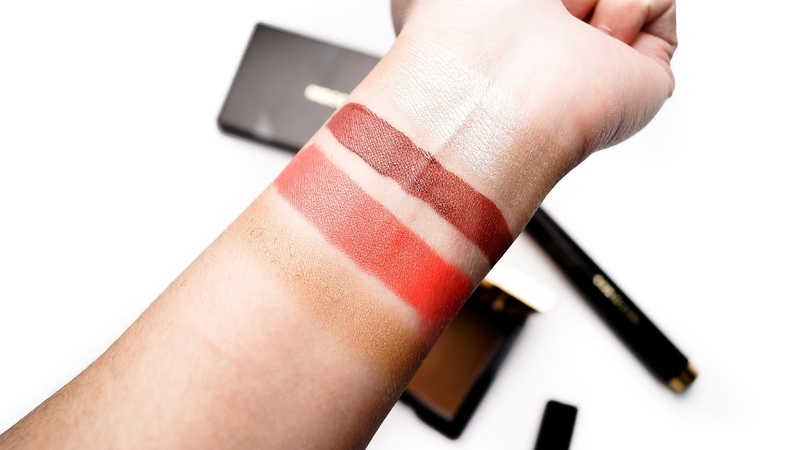 The longevity on this liquid lipstick is most comparable to a lot of drugstore lipsticks giving you about 4-6 hours of wear depending on your activities, of course. There is a range of pinks, reds, beiges and browns with a collection of 7 shades. The shade that I have is in “Skinny Latte” and it is a type of shade that you know I would gravitate towards. 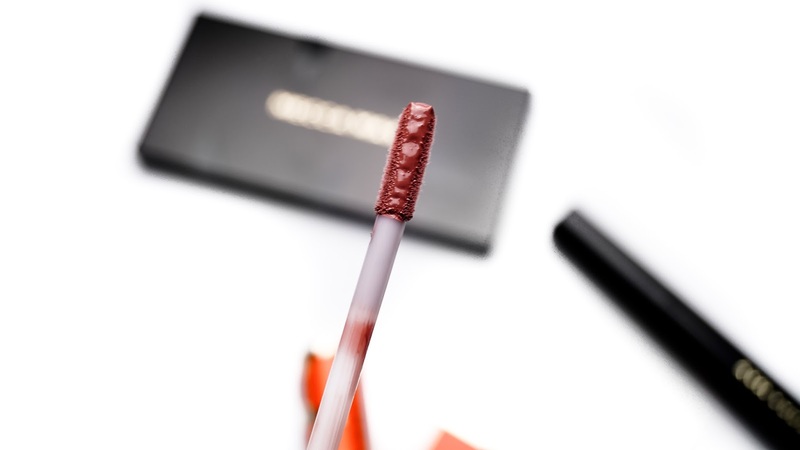 It is a beautiful brown tone shade that leans a little terracotta on my lips. One flaw about this product and is something that I do express a lot about other liquid lipsticks is the applicator. I truly dislike any applicator that does not come to a point. For the average user, this product is just not user-friendly. There is a learning curve you need to go through and it’s just something I think people would enjoy more if the applicator was complimentary to the formula of the lipstick. Unfortunately, we have to end this blog post on a bad note. I have included this product into this blog post as a cautionary tale for all of you. This is not a product that you would want to spend your money on. It is rare that I would negatively speak about a product but I think it would be beneficial for my biscuits. 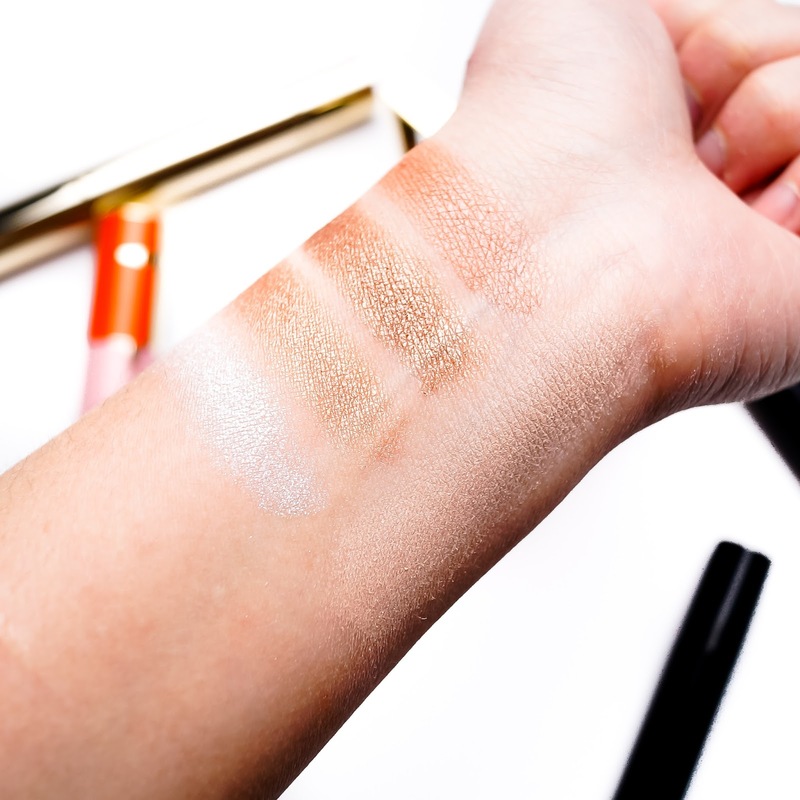 The Shimmer Shot Illuminating Wand is a click-to-glow highlighter that has a brush tip that has the product feed through the bristles. Now I have used my full power to make this work. Every day for a week, I played with the product, mixed and matched between products and even tossed around different ways I could apply the product, but from the formula to the synthetic bristles, there was very little going for this product. 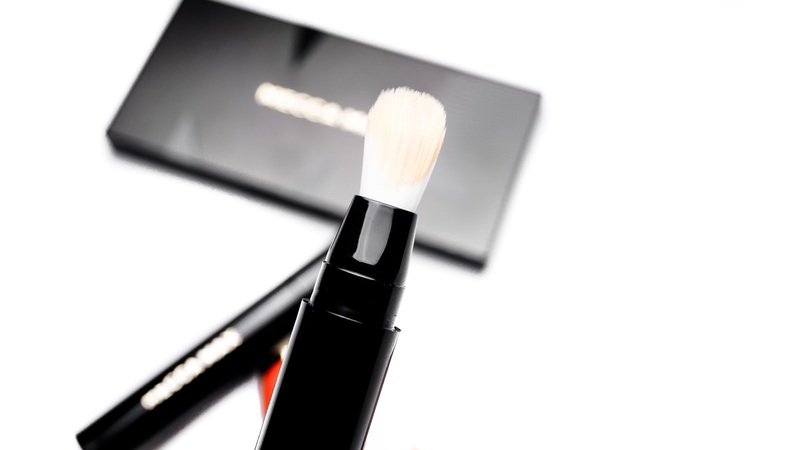 The highlighter becomes tacky when you tap it into the skin with your fingers or it comes a magnetic for your foundation when you use a brush. I also tried using it under my foundation to see if it would add radiance to my foundation but it just wasn’t strong enough to shine through. The best way I could make it work was to first place the product on my hand, and apply it with a sponge by lightly dabbing it on the high points of my face. Another thing that I also disliked about the product which was the biggest problem for me was how the product was dispensed out of the bristles. Instead of a steady flow of product coming through the bristles, there’s just an explosion of product that comes through the middle of the brush tip or through the sides of the brush. It was also hard to close the product as well because the brush began to fray and it was incredibly messy to place the lid on. This product, overall, was just very hard to work with. It was more effort than its worth to me and just wish it could have been better with a lightweight and more intense highlighter with bristles that properly feed through product. I saw so much potential and unfortunately was disappointed. 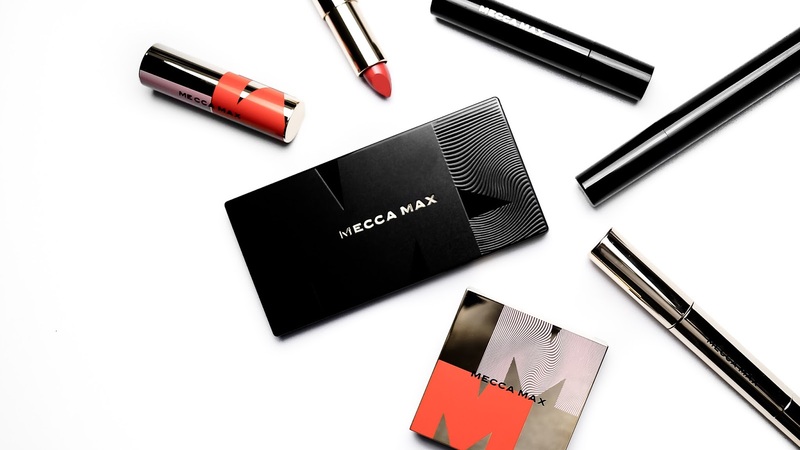 Overall, Mecca Max has done a fantastic job in creating products that are affordable, high-quality and having an amazing, extensive range on their first launch. They released out brushes, glitters, eyeliners, sponges, cheek palettes, foundations, concealers eyeshadows and more that I have slowly made my way through to bring you guys a part II to showcase some of my personal picks from the brand after bring amazed at the quality. Obviously these products are based on my personal experience and how these products worked on my skin. Definitely give these products a swatch in stores and comment down below your favourites that you can recommend to me! Next on the list is their foundation for me! Disclaimer: These products were sent to me as a PR gift. This post was not sponsored nor compensated. This post was made for the benefit of my readers for information purposes only. All thoughts and opinions are 100% honest and genuine and are based on my own personal experience. All links used in this post are for information purposes only! I hate making bad reviews on products, but honesty is key when it comes to blogging and it is a code that I always follow.